Royal Mail’s Christmas stamps for 2018 provide a master class in reminding us of the traditions that matter – and in this case it is posting Christmas cards. The evocative snowy scenes conjure up a nostalgic wistfulness for this simple pleasure that stands for family, friendship and community. 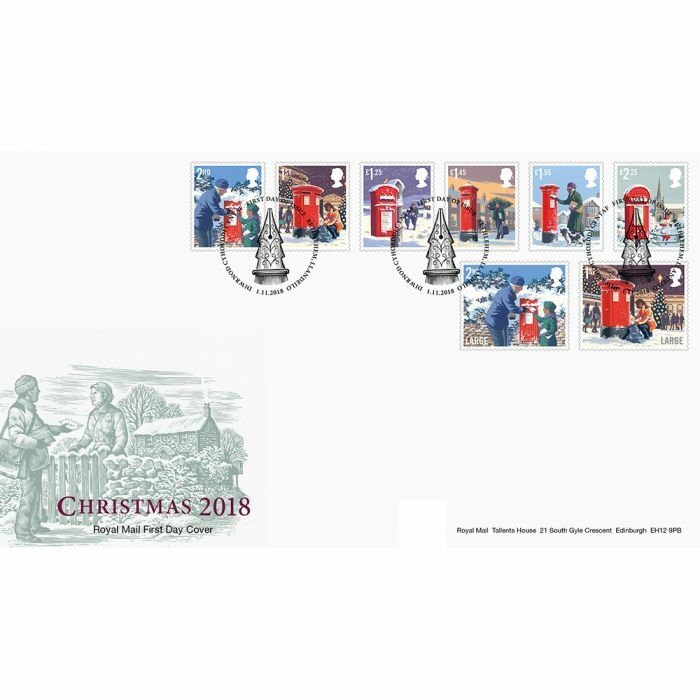 The Christmas stamps depict children posting their cards with parents and grandparents, while a man strolls past on one with a tree slung over his shoulder, then there is a choir boy rushing for the last post. The stamps are brilliant in their simplicity at reminding us of the warmth that posting Christmas cards brings. They are perhaps the antidote to the news images that all too often accompany the shopping frenzy of Black Friday when shoppers tussle over bargain finds. Reaching out with a friendly message of festive goodwill is, after all, what Christmas is supposed to be about. With electronic communication there are people who question the need to send Christmas cards, suggesting a simple message on social media or an email will suffice. But just like the comfort of sitting down with a real book endures, so does the familiar clunk of the envelopes falling though the post box in December. Yes, the Greetings Cards Association did record a drop in the number of Christmas Cards sent in 2016 by 10 million but that is actually only 0.01 per cent with a whopping 1.05 billion still being purchased. And with families and friends being very often being dotted around the country postage stamps will continue to play an important part in Christmas. Christmas stamps are a great choice for collectors as they are evocative – but also make a great gift. Like many of Royal Mail’s collections the Christmas stamps offer an insight into the time of production with religious scenes being used up until 1968. From then the stamps have often depicted traditional emblems of Christmas, such as snowmen, angels, robins and Christmas puddings as well as carols. This year’s postage stamps with their bright red post boxes certainly serve as a timely reminder to cherish the traditions that matter. Tony Lester’s next stamp auction will be held in Coventry on February 10. For more information please get in touch.